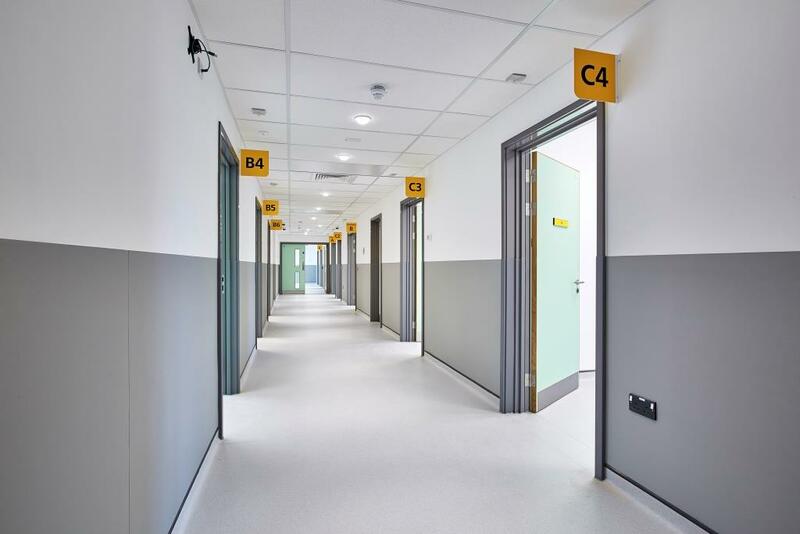 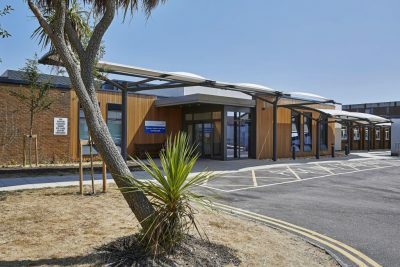 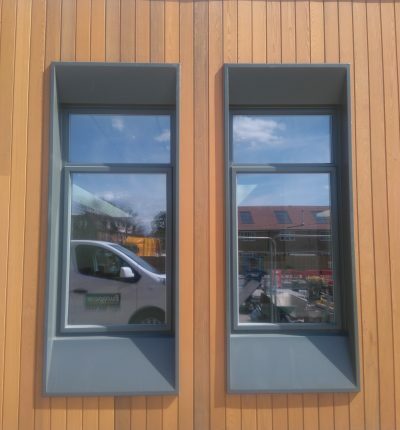 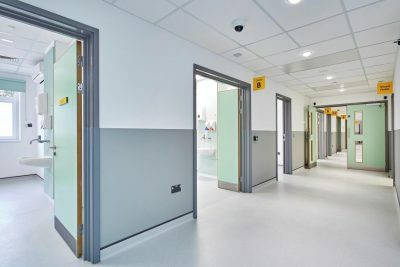 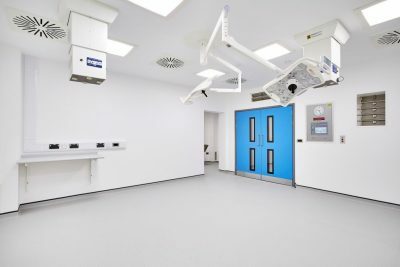 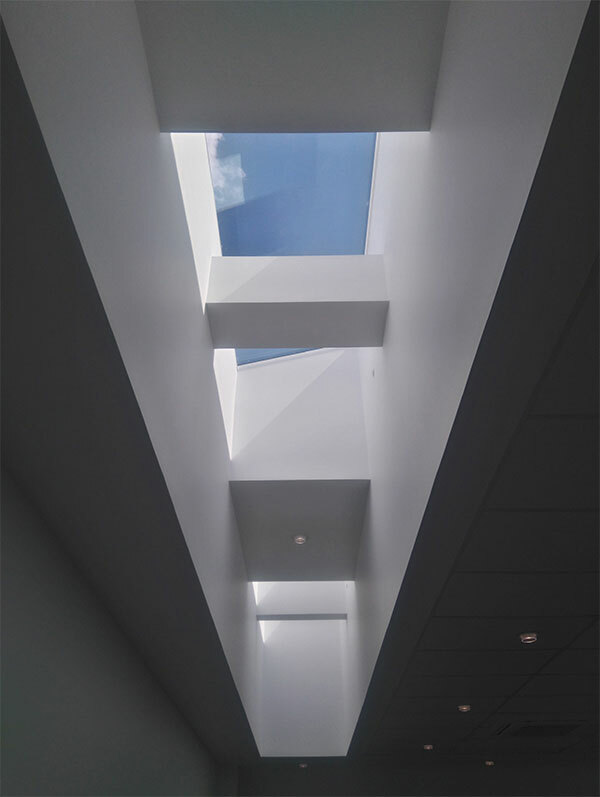 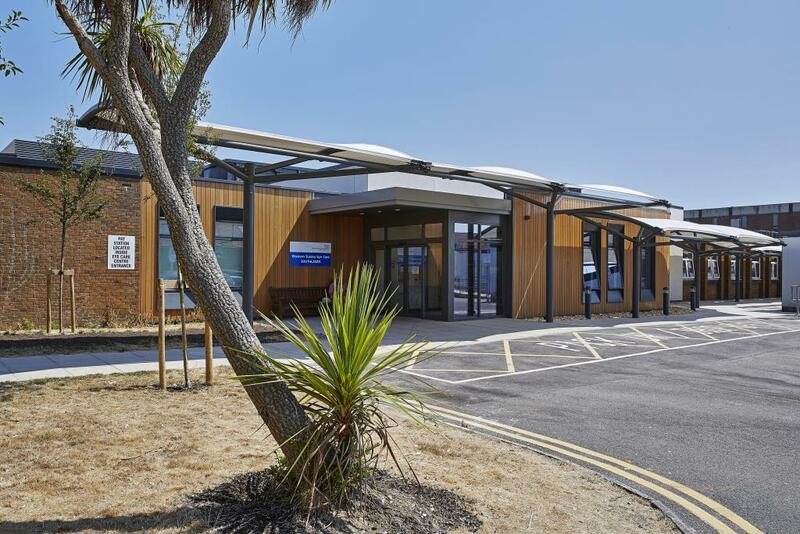 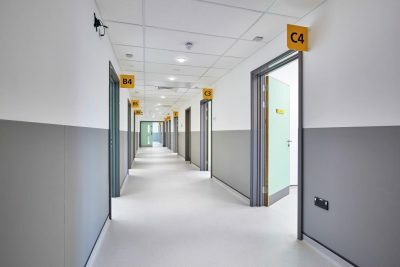 As part of a P21 bid winning team with Kier Construction, Crowther Associates Architects were appointed as the lead consultant for the design and delivery of a new state of the art Ophthalmology department and day surgery theatres at Southlands Hospital in Shoreham by Sea. 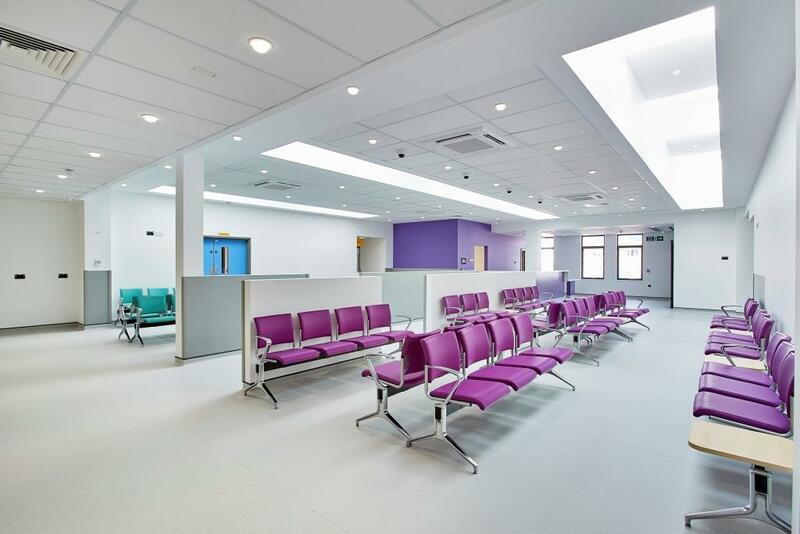 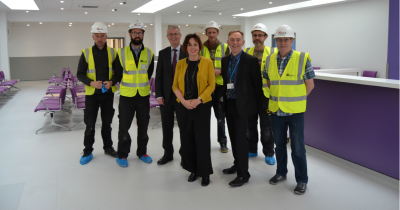 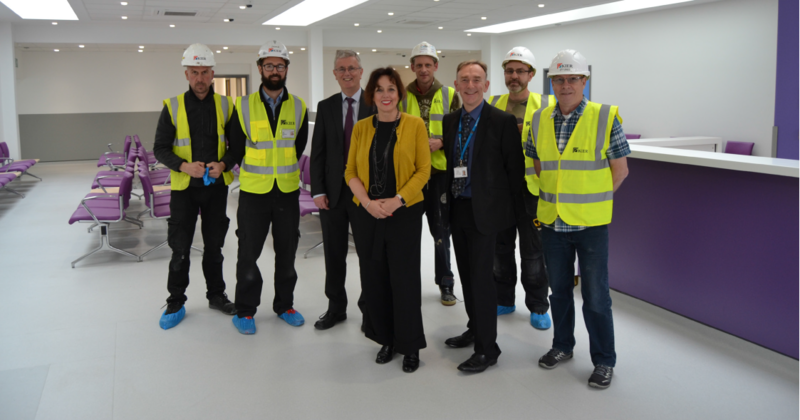 After extensive consultation with the Trust and user groups the design of the was developed to include diagnostic facilities, extensive consulting areas and a day surgery unit containing two specialist ophthalmology theatres. 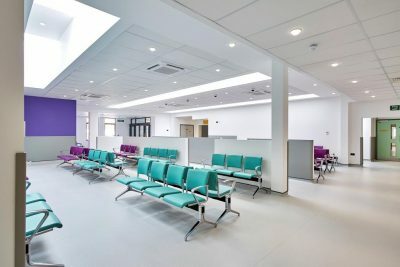 This £5 Million project, for the Western Sussex Hospitals NHS Foundation Trust, is the first part of a refurbishment programme for the site following the outline planning approval and sale of the main hospital buildings for residential redevelopment and has recently been handed over in April 2017. 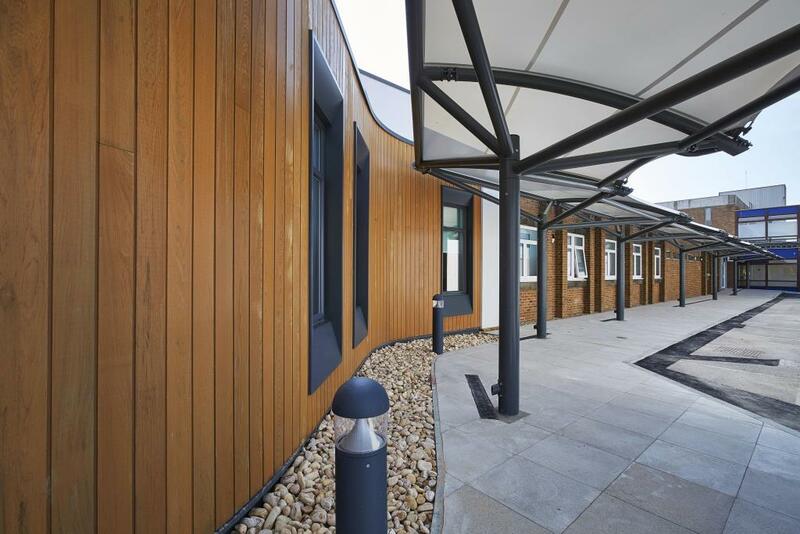 The next phase of an extensive external works scheme around the hospital campus is also now completed. 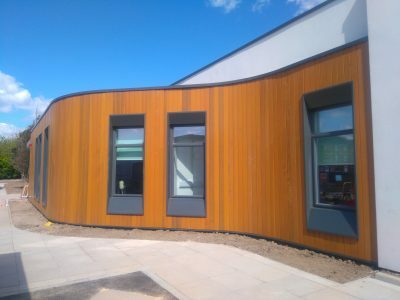 this has provided enhanced circulation around the site in the inclusion of new entrances and much needed expanded parking areas.